My name is Barbara Borghese and I am a conservator here at the Postal Museum. 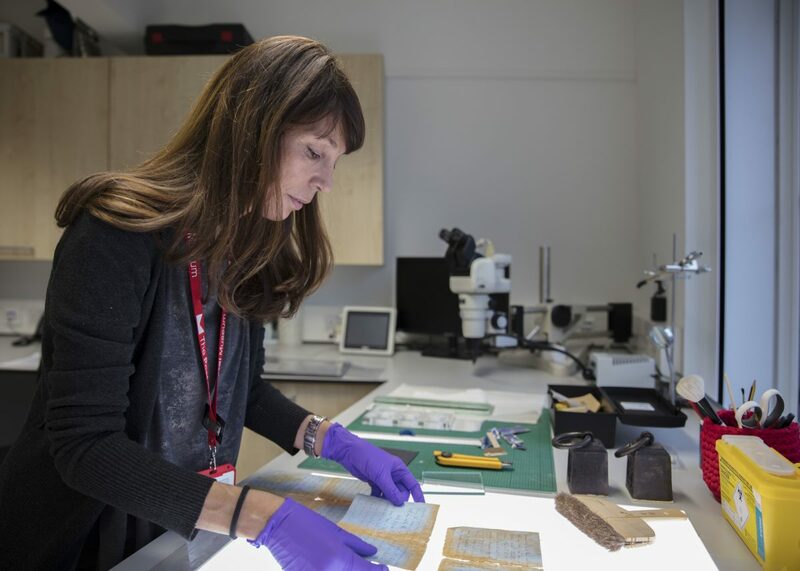 Many of you will be familiar with the work conservators perform mainly behind the scenes in museums, archives, libraries and other places where our expertise might be needed but I would like to give you a brief overview of what I do here at the Postal Museum. 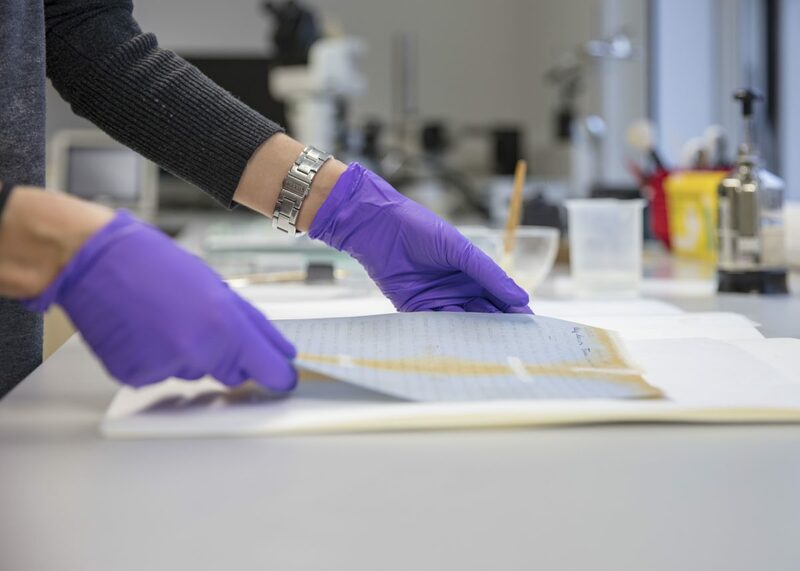 The team I am part of is comprised of two conservators and together we look after the wellbeing of the collection preventing deterioration from happening, treating items where damage has already occurred and making sure the lifespan of objects in our care is extended as much as possible. Preventing damage is perhaps the most challenging part of my job – environmental conditions and human interaction with objects are in-fact the major cause of damage to collections and making sure both these factors are managed effectively is a task that extends beyond the confines of the conservation studio. It’s a very rewarding job being a conservator – not only we get to know objects in our care better than anyone else but we also get involved in many aspects of museum life, from exhibitions to education etc. The Postal Museum is currently featuring new temporary exhibition ‘Voices from the Deep‘ showing a collection of objects recovered from the ship SS Gairsoppa, sunk by the Germans during the Second World War. I worked on the majority of the paper items on show. Although the collection had survived remarkably well, given it had been at the bottom of the sea for over 70 years, unsurprisingly the letters were still very fragile and to be safely exhibited they had to be conserved. I often get asked ‘how did you do it?’ and I have to admit giving a straight answer is not easy. 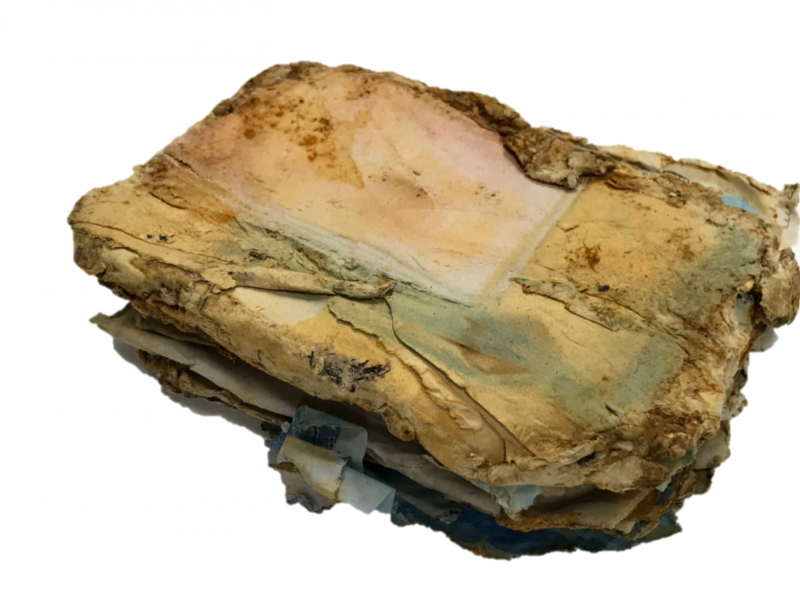 Conservation is a process that involves so many different steps ranging from initial testing, treatment, to mounting and storing. In this case, I had to make sure that the objects were stable enough and could withstand the changing environment after having spent 70 years relatively undisturbed underwater. One of the challenges of this project consisted in having hundreds of objects being often in fragments that needed to be placed together in a sort of a jigsaw puzzle style before being in a state that allowed them to be exhibited! Reconstructing some of the envelopes was particularly satisfying given that in some lucky instance I was able to match them with their respective stamps and letter. Working on this collection was an intense experience and it is very rewarding for me to walk around the exhibition and seeing visitors enjoying the story these objects are able to tell. These letters and other artefacts from the recovered shipwreck are now on display in the Museum Exhibition until 30 June 2019.